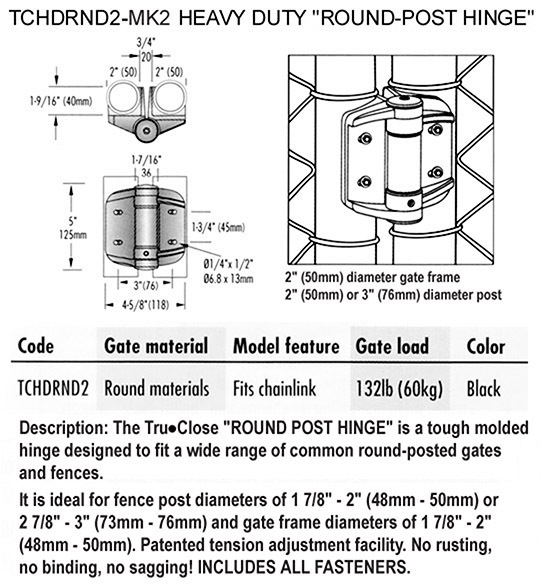 D&D Technologies Tru-Close Heavy Duty - Round Post Hinges, Pair | Hoover Fence Co.
Tru-Close™ Round Post Hinges are a heavy duty adjustable self-closing maintenance free hinges specially designed for round posts and gate frames of different diameters which is perfect for chain link fence! Both models ideal for gates up to 132 lbs. Each pair of hinges is packaged as a kit to include shims/adapters to fit each post and gate diameter. Hinges carry all the usual Tru-Close® benefits - no rusting, binding, sagging and no staining! 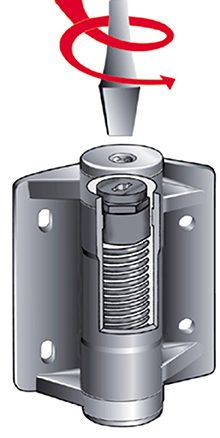 Features unique patented tension adjustment: simply remove the endcap and depress/rotate the tension screw until gate closes smoothly and reliably. 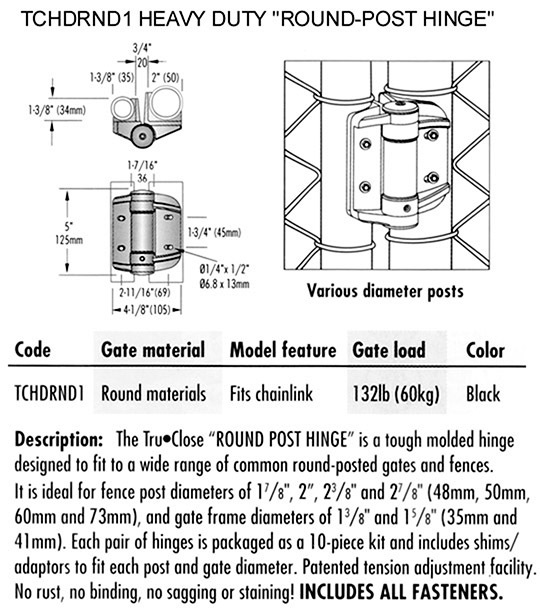 Round Post Configuration - Perfect for Round Gate Posts and Tubular Gates. 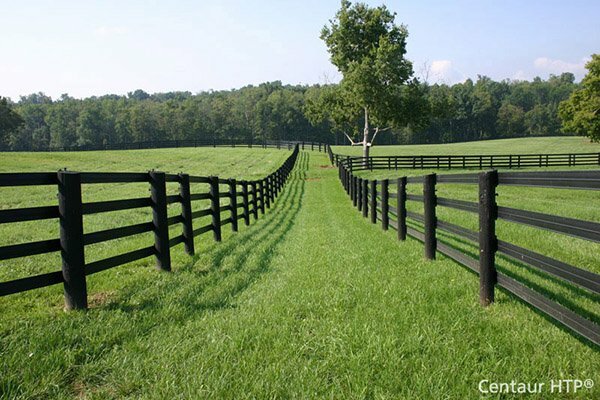 Includes shims/adapters to fit each post and gate diameter. Quality Assurance ISO 9001 manufacturer. Ideal for gates up to 132 lbs. NO rust, binding, sagging, or staining/ painting! Super quick / easy tension adjustment. No need for unsightly spring closers. Hinges are to be installed both to the gate post and the gate upright using self-tap screws (included). Be careful adding to prexisting gates, the space allowance between the gate hinge post and the gate upright may differ than what is currently installed. You may need to pull and reset the latch or hinge post for a tight fit. To adjust the self-closing hinges, remove cap on top of hinge with screwdriver. Inside hinge is an adjustable hinge (adjustable with a screwdriver). Adjust tension of spring-loaded hinge until the gate closes itself smoothly and latches properly.